Where there’s smoke, there’s challenge. Think of the challenges in life you’ve faced. Some circumstantial–a restructuring, say, of your job to incorporate skills you’ve never acquired, and never had the desire of acquiring because it’s not your modus operandi. In my case (a typical situation), a superior at work once set me up for failure inserting complex spreadsheet analysis into an otherwise demanding schedule. A challenge, no doubt. Walking out that last day, tail tucked between legs, the door bashed my spirit on the way out. And then there are the invited challenges. Resolutions that might, if accomplished, improve your health: avoiding excess sugars, or training and then finishing your first triathlon–challenging yourself to beef your financial situation by acquiring a particular degree or skill set. Or taking on a challenge that might improve your character, your community, hell, maybe you’re that breed of person that takes on a challenge to better the planet. There are the daily challenges and the life-long. 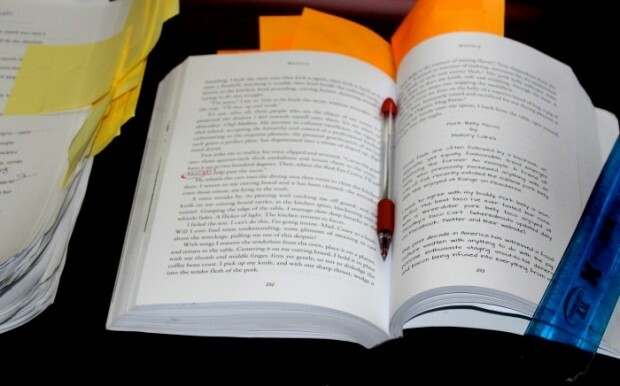 One, for me, has been affording the time to write a novel, indeed, many novels. But that degree in English morphed into a degree in communications. Ain’t no money tree in my back yard. My first job was as a copywriter in Manhattan for a Public Relations firm. But the itch still itched and I kept scratching. My first attempt was a book with the working title, “On Heretics and Snails”. But after opening my store, The Back Alley Gourmet, the book never made its way out of the card file. After selling the business, and working odd jobs here and there, I landed contract work writing a weekly food by-line for the Ann Arbor News that morphed into MLive. Loved that job; great fodder for the feeder. Getting close. 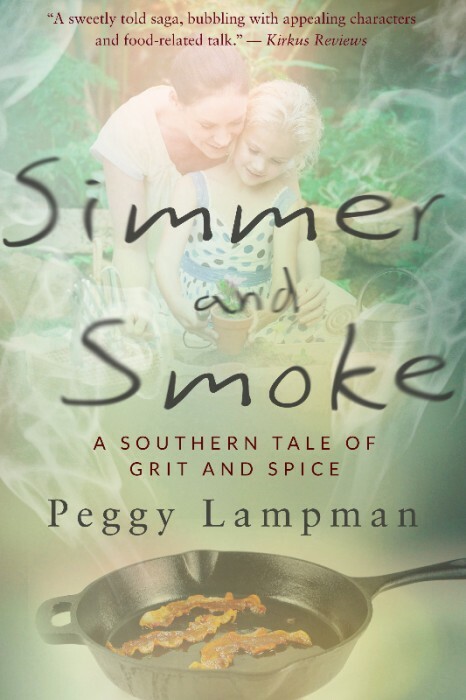 I conceived the story, Simmer and Smoke: A Southern Tale of Grit and Spice, five years ago after a visit to my family in Alabama. Upon my return to Ann Arbor, I wrote that first, all-important sentence, which is, perhaps, the only sentence that hasn’t altered through years of re-writes. Yesterday I finished my final proof; I’ll be birthin’ a real book soon, Miss Scarlet. 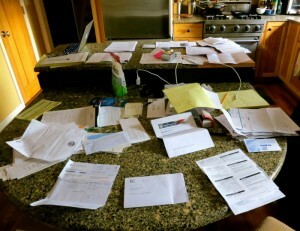 In the meantime, there’s a more immediate challenge: to clear counters of tax-related BS so I can cook. Eating a lot of Tricked-out Ramen these days. 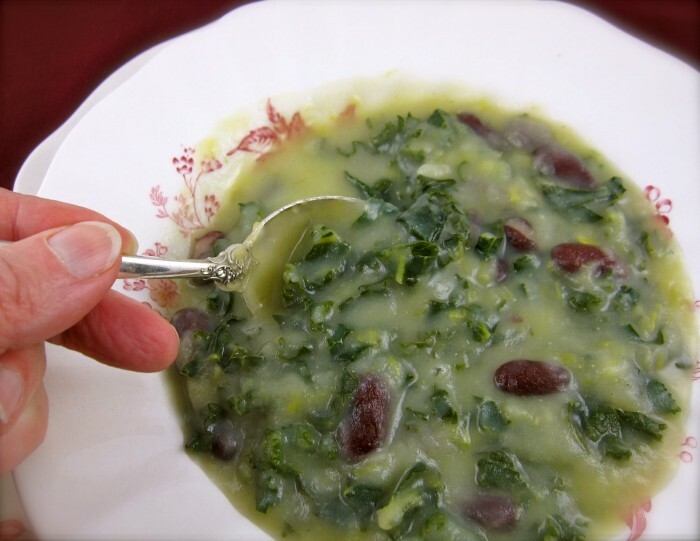 Here a recipe for Caldo Verde, a delicious Portuguese kale and potato soup that I appreciate making during tax season. It doesn’t require much counter space and uses inexpensive ingredients. Alas, it’s time to shore up your money as the tax man’s a comin’, palms outstretched, breathing down your neck. 4 Responses to Where there’s smoke, there’s challenge. Congrats on getting your final proof in–such a long process! Thank you, Debbie! It is, indeed, quite a process. As everyone who has ventured into this land would tell you…keep your day job! Peggy, when will we see you at at least one of our Wednesday 6pm wine tastings? Call me for more info. Good Morning, Bobby. Do you guys meet every Wednesday evening? Please email me more info at peggylampman@me.com. Thanks!